Winner of the 2017 Bangor Business Awards Social Enterprise of the year, Boom! Studios is a social enterprise developed by creatives for creatives, as well as for the wider community. We spoke to director and co-founder Marianne Kennerley about the enterprise’s origins, goals and future plans. 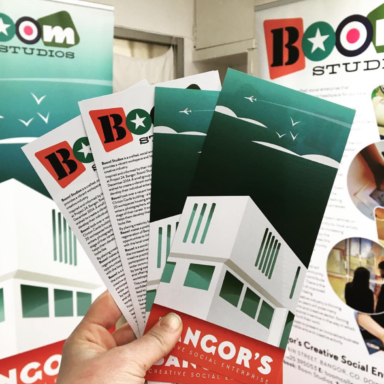 After being part of Project 24, a council run community arts project in Bangor, Marianne and two other artists came together to create Boom! Studios. Project 24 brings artists and their work out into the community. It provides studios to artists housed in converted shipping containers in a public area, which also includes a community garden and event hub. Studios have one glass wall making artists’ practice visible to those passing by. But the project also helps artists to connect with each other too. When Marianne’s time with Project 24 came to an end she realised something had changed. She explains: “I did 12 months there and then I moved back to my home studio. I very quickly knew, no this isn’t what I want, I want to be part of a community and doing creative work”. This was in 2014 and Boom! has grown from an initial three to a 20 space creative hub not just for artists, but creative practitioners of all kinds. Bangor is a seaside town just over 10 miles from Belfast, on the north end of Ards Peninsula. After the thriving decades of the 50s, 60s and 70s, the Bangor of more recent times had become a sleepy place in need of regeneration. Arts and cultural activities appear at the heart of its rejuvenation. Project 24 is one example. The town also has a number of annual festivals such as the music and arts festival Open House, the literary festival Aspects and the Ulster Fleadh. Boom! Studios makes a fitting addition to the cultural infrastructure of the town. Its focus on social impact and outreach also helps to further stimulate creative regeneration. For example, Marianne explains how festivals provide opportunities to engage with the public. Boom! 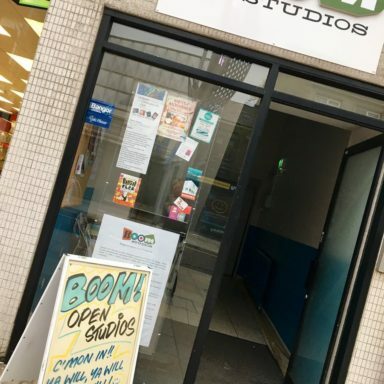 collaborated with the Open House festival this year: “We did two evening art walks taking two guided tours around all the different cultural spaces in the town centre, such as the library…Boom! Studios…different private studios… we really want to repeat it and do it again”. Marianne developed an interest in social enterprise while studying for her Masters in Design at Ulster University. She worked with community projects that had this type of ethos. Her experience at Project 24 and networks developed helped the idea which had been germinating to grow. Boom! has a number of revenue streams such as workspace rental, education and service provision. Having a sustainable business model that is not dependent on public funds helps make the studio more resilient and self-sufficient. Boom! also applies for public funding for specific purposes, for example supporting community projects. One key part of the Boom! 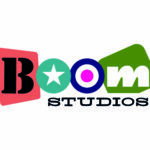 Studio business model are workshops with the local community. Sessions focus on a variety of creative activities, for example from art to gaming. 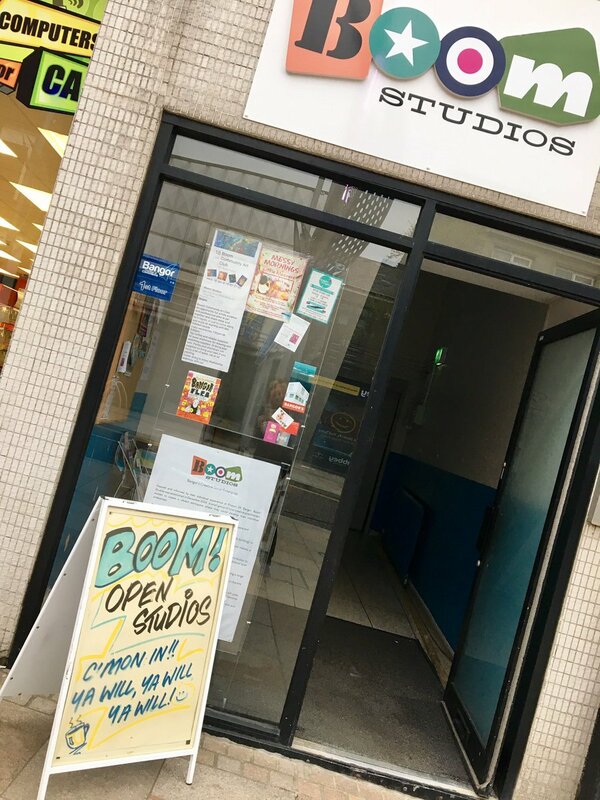 Classes are run by residents but also creatives who don’t rent studio space at Boom! Studios. The cost of facility rental can be high. The Boom! 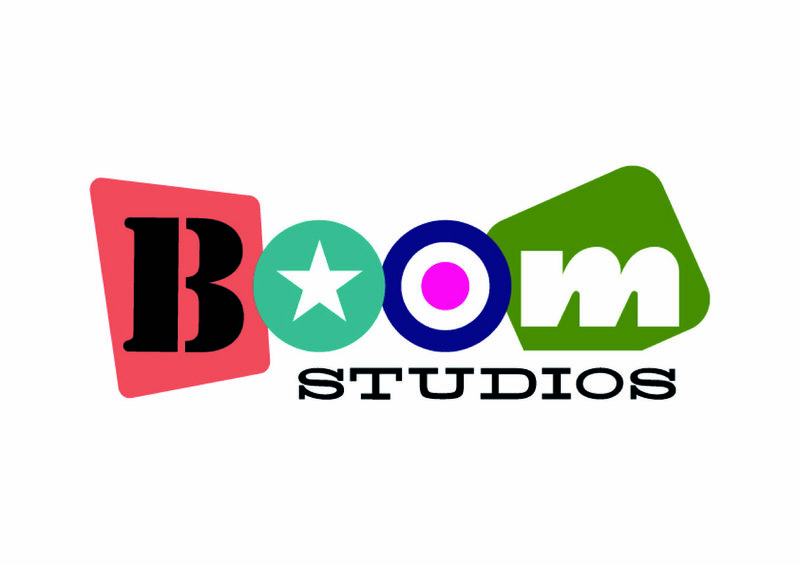 Studio approach helps to overcome this: “We have gone in on a very low cost business model. When we were looking around at other spaces, it was room hire eating up all the profit, so we went in on a very low competitive offering”. Marianne is always looking into new opportunities and revenue streams that could strengthen Boom’s business model: “I like the phrase horizon scanning, you have your head up and you can see here is something coming up, then you can decide is that right for us”. While Boom! Studios is still developing and exploring its ideal business model, perhaps in time we might see similar studios across Northern Ireland. Marianne explains: “I am quite interested in exploring the social franchise model…look at our smaller towns you know where there is a hub of artists, where there is an existing artistic community already. They might need a place. But that is a little bit further down the line”.